Children are often a peculiar mix of heart-stopping fearlessness and weird phobias, and mine is no different. Although given half the chance she’d be an unrepentant square eyes for huge periods of the day, she’s very up and down about new films and tends to be a bit wary of the cinema. This weekend, I tempted her into a viewing of Big Hero 6 using popcorn as bribery and the promise of a little reward afterwards if she was brave; it was also our opportunity to use a Yo! Sushi voucher we’d be given for a themed meal, and she was already proudly wearing a yellow GoGo Tomago wristband. I’d primed her that she could look away or duck out if it got too much for her, but she only dived into my arm once, for less than a second, at a close up on the villain’s slightly creepy kabuki mask. 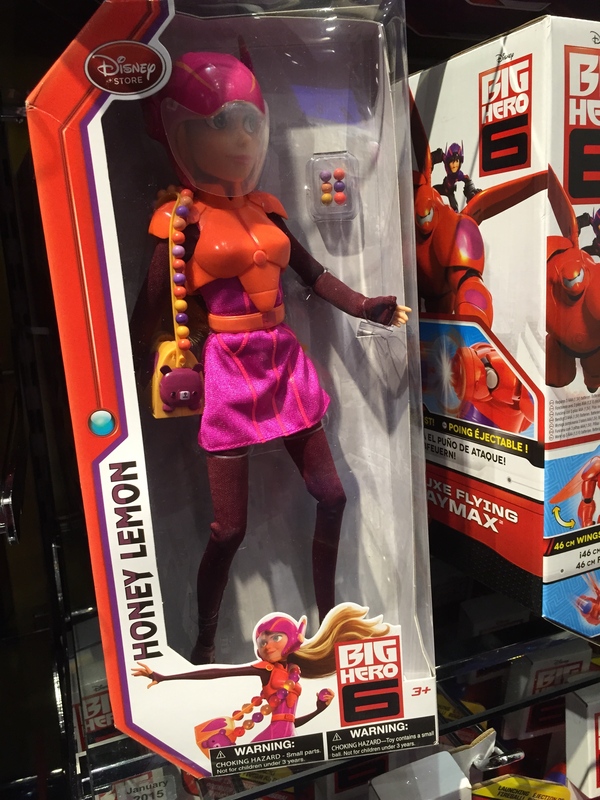 Afterwards, we popped into the Disney Store, where she chose a small Honey Lemon figure to play with (not the one below). I’ve mentioned before that the women of Big Hero 6 are in general more diverse and widely represented than in previous films; having my daughter play with in a brave, kind Latina scientist who is applauded for what she does, not how she looks, feels good. 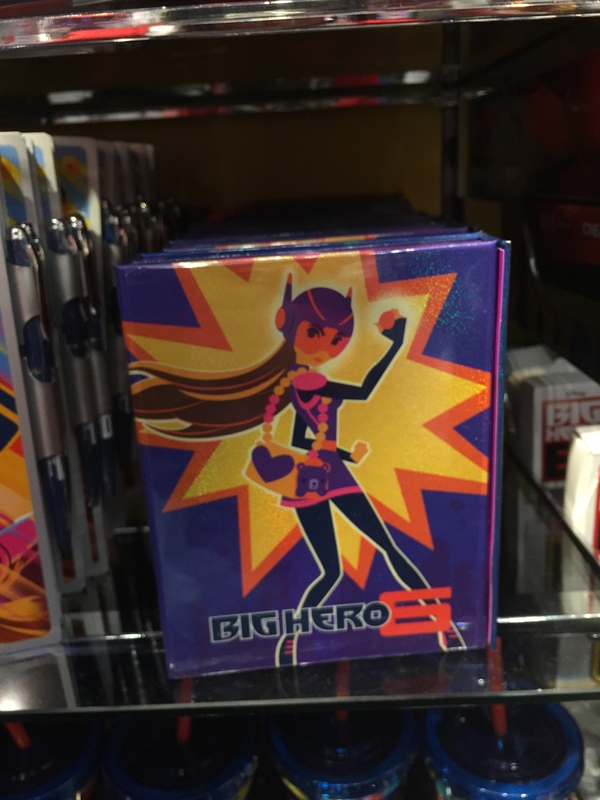 Casting an eye over the shelves was also reassuring – although Frozen and Marvel superheroes were at opposite ends of the store, all the Big Hero 6 merchandise was together, female and male characters mixed up, with the women shown in action poses on the packaging. I was pleasantly surprised to find a journal set with Honey Lemon on the cover that wasn’t sequinned or pinkified. GoGo’s doll figure was sold out this time, but I’ve seen it before with properly built up leg muscles to reflect both her animation and the fact that she’s a runner and cyclist. When you visit the website, the t-shirts and pyjamas are simply labelled “for kids” (and FYI Disney, this adult would LOVE a Baymax t-shirt if you’d consider sizing up in the UK and not just the US; maybe not this one though, given my proportions…). Disclaimer: This was just a family day out, but the Yo! 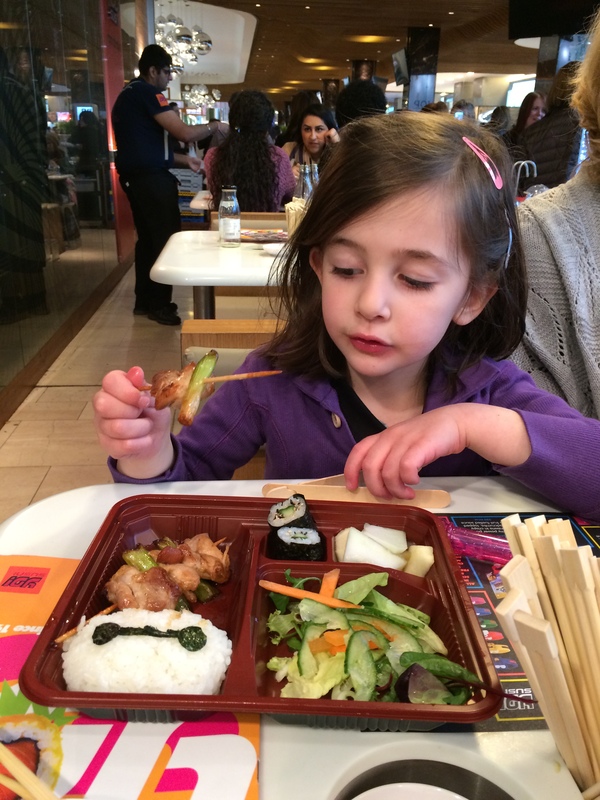 Sushi kids’ meal was courtesy of the screening goodie bag at which I first saw the film.